Why is this game fun? Just run into more and more ways to die. This app hooked me in for hours! I loved it so much. 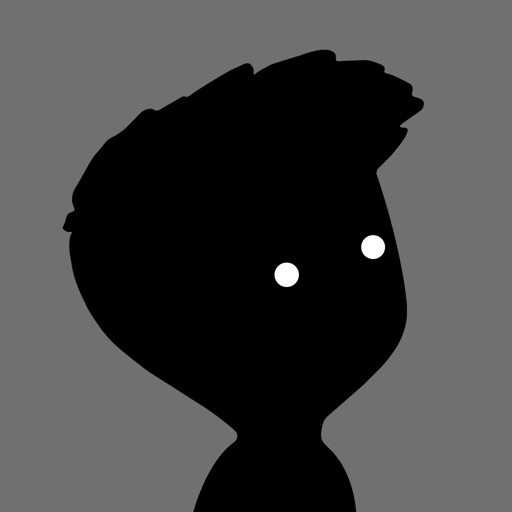 Please make a LIMBO 2!!!! Very frustrating, I hate it when you die a hundred times and you've only been playing five minutes. The mechanics are terrible! Trying to time screen taps and drags just to get past the first ditch. I only got over it by pure luck. Each thing was incredibly frustrating. Then I get to the bear traps,I get over the first and die on the second. They're the same size I'm doing the same jump over and over and over, and I keep dying on the second trap. Done. Life's too short to waste on games that make you crazy. Great game like to have the option to have blue tooth controls I think that would be nice. I don’t usually play games on iOS, but I’m a huge fan of puzzle games. Limbo is like a physics simulator elegantly combined with a puzzle game. The visuals and audio are beautiful too. Highly recommend. Love the game, it looks beautiful and stunning, but on the iPhone X the home indicator does not disappear and it is very distracting. Please hide it like it hides when watching videos. One suggestion, option to turn off brightness flickering that's trying to look like an old film projector. I get the old grainy film look, but it's just exhausting after a few minutes. This game is very beautiful. Try eating less wheat products. Wheat = empty. Gut biome. The graphics are great! Beautiful game. Soy milk ups the estrogen in your body. So does water from non BPA plastic containers. The gameplay is pretty alright as well. I like the puzzles. Shift 2 (sadly no longer available), Limbo, and Inside are the best iOS games I’ve ever played BY FAR! Limbo is truly amazing! Btw...once I got the hang of the controls I liked them. I'm not sure why everyone is rating this game so highly while still complaining about the user interface and controls. It's frustratingly difficult to make the guy do what you want. Takes all the fun out of it for me.